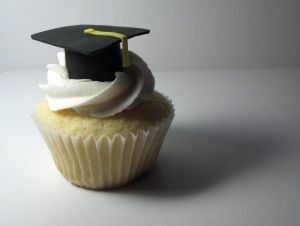 Image Credit: Graduation Cap Cupcake by Clever Cupcake (distributed via flickr). “The Ph.D. is an emotional roller coaster, and how well students react to these emotional pressures is crucial to their success, ” says Inger Mewburn, of The Thesis Whisperer fame and Director of research training at the Australian National University. With the emotional and personal strain a PhD can cause, I couldn’t agree with Inger more. During my PhD journey, this was an aspect that I felt was often overlooked by my institution, and frankly, a lot of the time by me too! Making a proactive decision to find a work-life balance, whilst at the same time striving to produce quality research, is difficult. I stumbled upon an article in Science Magazine’s Career section which advertises the upcoming, totally free, online course on ‘How to survive your PhD‘. It does start tomorrow, but you can definately still enroll. Given that the start of a new academic year is just around the corner, and the beging of new PhD programmes to boot, this might just be perfect timing to take part. There is plenty of information and details of the course on Inger Mewburn’s blog and you can also watch a video trailer, see below. If you do enroll, I’d love to hear your thoughts on the course and how you thought it was valuable, so be sure to share them in the comments sections below!